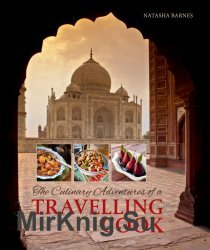 The rediscovery of an aerogram from Sri Lanka with a carefully inscribed recipe is what led to The Culinary Adventures of a Travelling Cook, a collection of uncomplicated recipes – both gourmet and everyday. Written by cook and artist Natasha Barnes from her numerous trips locally and abroad, this book shares many humorous accounts of her travels across the globe. Her experiences are relived through the foods she encountered and enjoyed in countries as diverse as the USA, Vietnam, Argentina, Ethiopia and Burma.